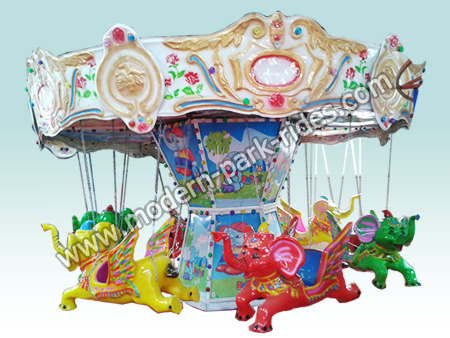 2.Mini flying elephant rides is made of fiber reinforce plastic and steel. 3.When motor starts, it drives gear rotating, and gear linked transmission system, transmission drive linked chair rotating and do up and down activity. Passengers who sit in the chairs will feel excited and fun. 4.The amusement rides is widely used for the park, supermarket, amusement park, kindergarten, and most public places.